Upload a list of domains and we will give you back automatically a Excel file with all employees working at those domains with their emails and all information related to the company. 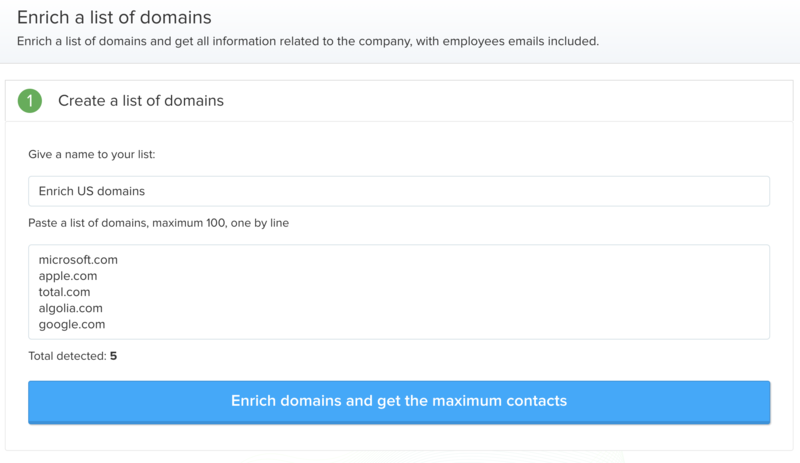 Upload a list of domains and get all information related to the company and also all the employees working at this company, with more than 40 data points. 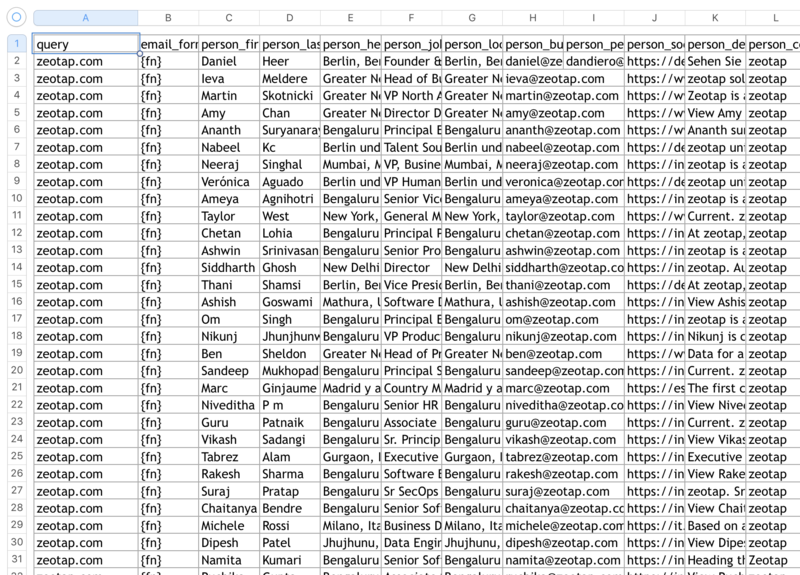 You can upload by batch of 100 domains and get your export in a few minutes in CSV or Excel file.